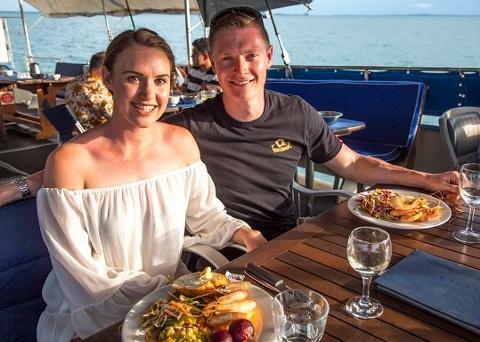 Relax and enjoy a magnificent Darwin sunset, a delicious Chef prepared steak and wild caught seafood banquet while cruising Darwin Harbour. 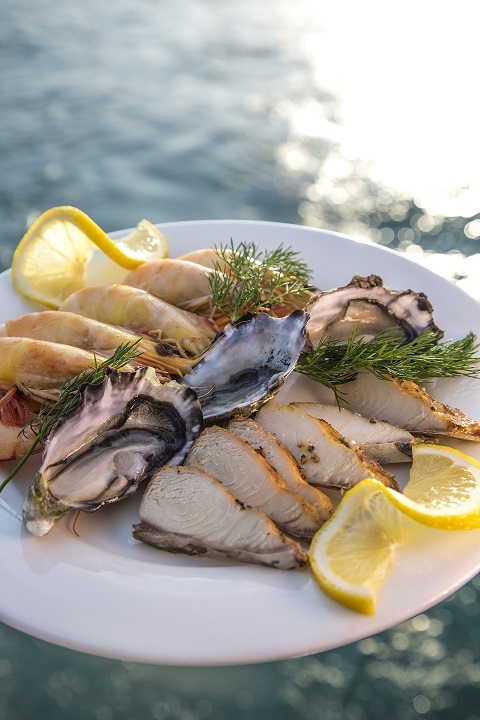 Begin your cruise with a selection of home-made dips then enjoy some of the Territory’s freshest ocean caught seafood including NT caught Banana prawns, fresh Spanish Mackerel smoked daily on board (our specialty) or sample our succulent natural Coffin Bay oysters. For mains you have a choice of either a prime scotch fillet steak or our fish of the day (Spanish Mackerel, Jewfish or King Thread Fin Salmon dependent on daily catch). Mains are cooked to order and complemented by a selection of freshly prepared salads and crusty bread. A selection of tea, espresso coffee and a tropical fresh fruit platter conclude your dining experience. BYO or onboard bar. All ice, eskies and glassware provided. - On occasion it may be necessary that bookings for 1 or 2 guests be seated with another 2 guests.